The Wacky World of Sports Camp was not quite what I had envisioned when I started out. Between a few days of VERY HOT weather, then a few days of rain, a trip to the ocean with friends, celebrating Christmas in June and strawberry picking….we really didn’t get to everything I had planned. What we did get to was lots of fun but we never made it mini-golfing (went bowling instead), didn’t invent a new sport and never had our park and home sport days 😦 I think we will try to squeeze them all in during the weeks to come. So what did we do?? Z had a week of Tennis Camp which was great! He was rained out one day but they managed to squeeze in all 4 sessions. He learned so much and Lil’C had a friend from T-ball to play with so she was super excited to go every day too. They have a tennis camp for grown-ups and I am super excited to sign up for it next year! We spent the rest of the week reading LOTS of sport stories and learned the rules for both soccer and tennis. We played loads of board games (that is a sport right??!? ), played with the Wii Fit on rainy days, watched the movie The Rookie, had a dance party, did family yoga and went bowling with friends! 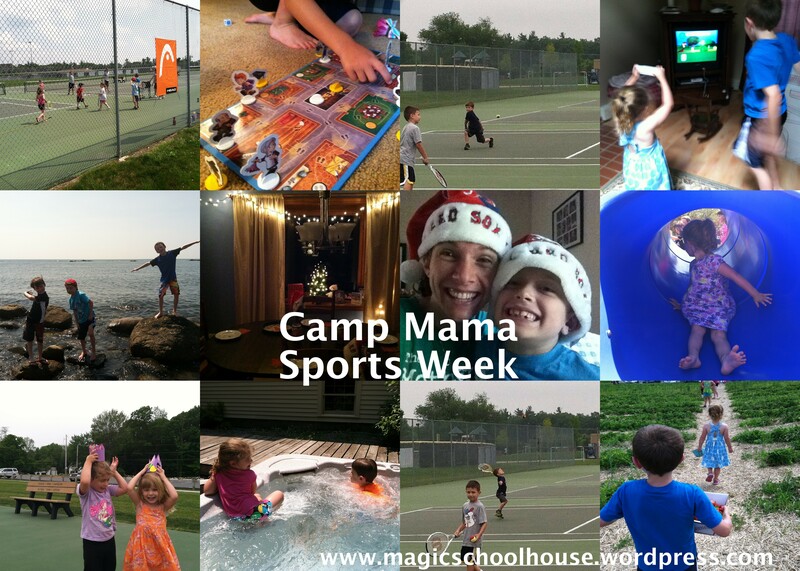 It was a Wacky Weather week for sports week (either hot or rainy) but we made the most of it. We are hoping next weeks weather is better as we move into Happy Birthday America! Week. 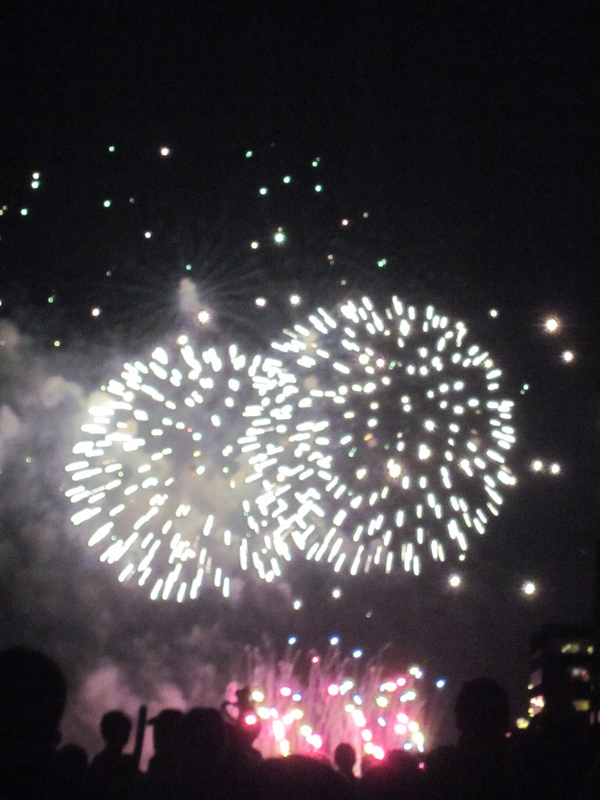 We have a week of parties, fireworks and can’t wait to get our Patriotic Groove on! Come back tomorrow to see what we have planned.